J.J. Abrams (Lost, MI:3, Star Trek) is one of the most prolific, innovative and successful filmmakers working today. He is so successful that he is personally (and unfathomably) shepherding BOTH the Star Wars and Star Trek film franchises. But did you know the same things that make J.J. so successful are the same tactics we can employ in our classrooms with our students? It’s true. It’s all about indulging natural curiosity. 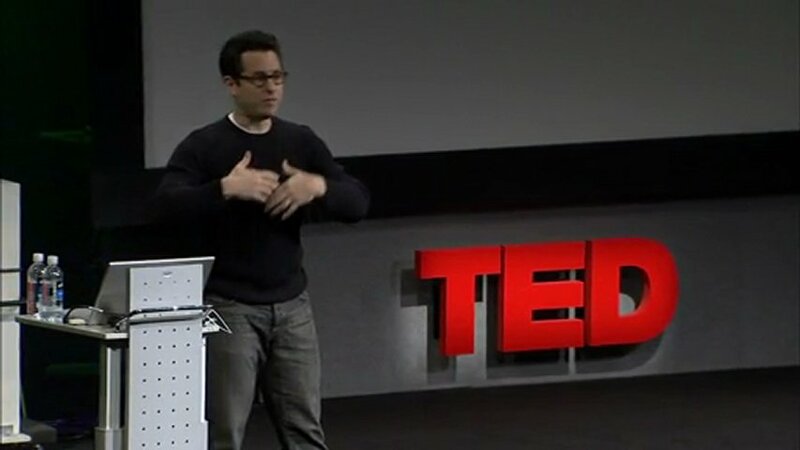 Watch J.J.’s TED Talk – “The Mystery Box” – get inspired, and read the points below – you too can inspire students to reach the same dizzying heights as J.J. Abrams, and encourage students to follow their passions. 1. Cater to the curiosity of kids. When he was a kid, J.J. was obsessed with why/how things worked. He even loved boxes, of all things (note to self – study boxes, become director of Star Wars) – and his grandfather encouraged him. Grandpa even bought him a “mystery box,” which was supposedly filled with magic tricks. I say supposedly because not even J.J. knows what’s inside. He still hasn’t opened it after all these years – he is more obsessed with the mystery and wonder, because that has unlimited potential. If you want to have a “literal” mystery box in your classroom, go for it. I imagine you can facilitate some pretty amazing writing exercises using that. But it’s more about the idea of a mystery box – you need to get to know your students, and find out what they are curious about…childlike wonder, if you will. Leverage it to your advantage, and the result is total engagement. 2. Mystery is a powerful tool. According to J.J., mystery “represents infinite possibility…it represents hopes [and] potential. Mystery is the catalyst for imagination.” With creation being firmly affixed at the peak of Bloom’s Taxonomy, we should not take this point lightly. Kids that wonder will create amazing things. And we don’t need to make kids wonder…it is natural. We are instead tasked with helping it grow and not hammering it out of them. Think inquiry-based and authentic learning. 3. Technology can inspire and challenge. J.J. calls technology “mind-blowingly inspiring” in the creative process. “We can do anything,” he says. It’s pretty much true. No longer are we hamstrung by resources – we can do far better than having kids make brochures and tri-folds. Kids can now easily create films, podcasts, interactive comic strips, websites, communicate with authors and professionals…the list goes on. It’s all about providing students with the opportunities to succeed, and they will with the tools at their disposal. 4. Technology has evened the playing field. Kids can create and share INCREDIBLE things. J.J. admantantly insists “there’s nothing stopping you” from making a movie. He continues, “No community is best served when only the elite have control.” Just think about iTunes and YouTube – they are amazing outlets for creativity, and it gives the power to the people. Kids can create slick, Hollywood trailers in ten minutes. Or (and thanks for this, J.J.) – his Bad Robot production company has a free iOS App called Action Movie FX – download it, and in minutes you can film your buddy diving from a missile explosion or frantically escaping from a car crash. It’s insanely awesome. And better yet, it evens the playing field and gives creative control to the masses. 5. You don’t need the greatest technology to make things work. J.J. closes his TED Talk with a scene from Mission: Impossible 3 in which the villain shoves a gun up Tom Cruise’s nose. But wait! Through the magic of movies, what we don’t know is that it is actually Tom’s hand that is sticking the gun up his own nose. J.J. just used a clever angle and movie trickery. Think about your classroom – you might not have 30 iPads or the latest version of Windows 8 on a lightning fast computer. Heck, the phones in your students’ pocket may be more powerful than any device in your classroom! But if you challenge the students to do something, and you cater to their sense of mystery and wonder – they will do amazing things, and they will ultimately make it work.